of our beloved Liz McGrath. In 2015 our grove of Camphor trees (Cinnamomum Camphora) were officially given CHAMPION TREE status by the South African Department of Agriculture, Forestry and Fisheries. The Hohenort Grove Camphor trees are approximately 250 years old and are located in the historical garden behind the main Cellars building. The tallest in the grove is over 24 m high, its Stem diameter is 2.1m and the crown diameter over 18.9. 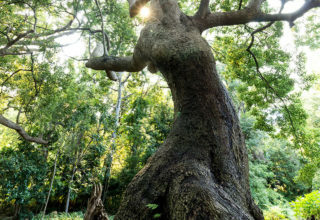 This grove of Camphor trees are the second oldest Camphor trees in South Africa. Through these three centuries, vines, fruit, vegetables and flowers have blossomed on this land in the fertile Constantia Valley. It was in these very gardens that Mr Fisher, a former owner of the Cellars, hybridised the rose “Chris Barnard”, named after the famous heart surgeon. The more recent Rose Garden meanwhile formed part of Liz McGrath’s 20-year vision for the hotel. Currently there are more than 2 500 roses in the garden, including the Liz McGrath Rose, which was hybridised in 2003 to commemorate Mrs McGrath’s 80th birthday, and the Relais & Châteaux Rose, named to celebrate the 60th anniversary of the collective in 2013. The rose beds are carefully maintained and require about six tons of compost each year. Until then, The Hohenort Hotel had been run under separate ownership on the property adjacent to the Cellars. In February 1993, McGrath took over the property and began an extensive renovation that saw the hotel reopen its doors in November of the same year. The two properties and their surrounding nine acres of land were united once more. 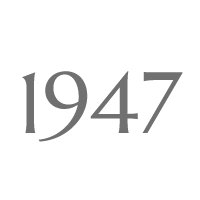 The same year the hotel was refurbished, it was invited to join the prestigious, internationally renowned Relais & Châteaux Association. The Oregon pine staircase in the Cellars was built using original timber from the roof of the building, while the lounge still shows its original beam structure. The hotel’s main restaurant, The Conservatory, was built around an oak tree as old as The Cellars itself. 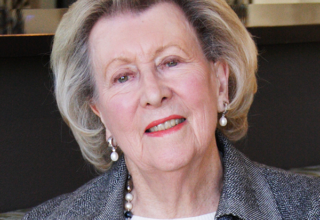 In 1991, Liz McGrath purchased what was then the sole Cellars building with the intention of restoring its historical beauty, and uplifting what was then a country guesthouse. 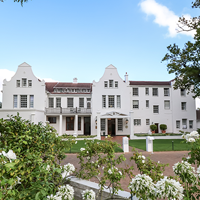 McGrath was known at the time for her success in developing the The Plettenberg, and the appeal of modernising the Cellars, yet retaining its history, was an opportunity she could not turn down. The year after the death of Spilhaus, the farm was split into sections and sold off. Centuries and various owners later, the farm was bought by Arnold Spilhaus and the construction of the Hohenort building began. This German-style manor replaced the original thatched farmhouse on the farm, with a name meaning ‘high place’. 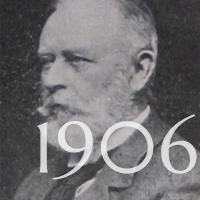 The name was reflected in the architectural style of Seeliger, with its impressive stature. 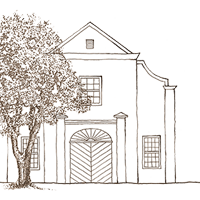 Resting on the eastern slope of Table Mountain, the fertile soil of the land led the farm to its calling in the 1750’s to become an integral part of the flourishing wine industry in Constantia, Cape Town. 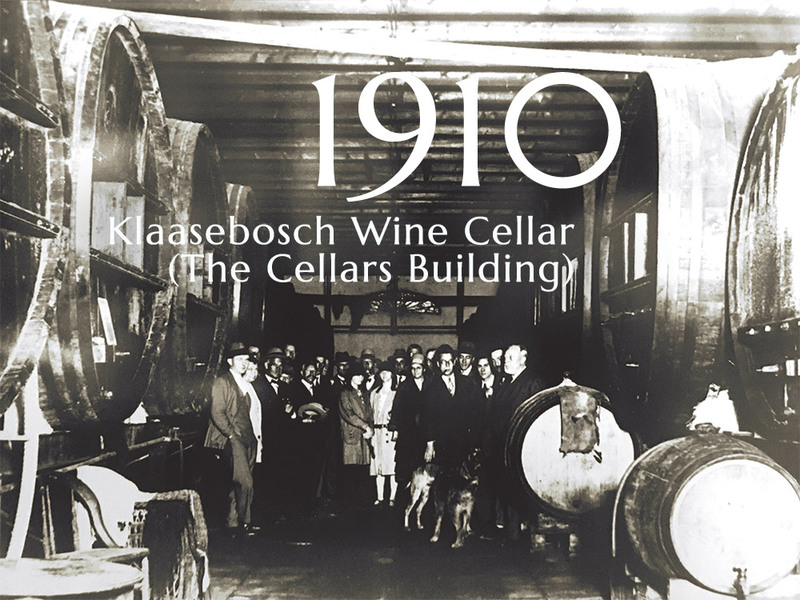 The Cellars was the original wine cellar of Klaasenbosch Farm, the value rose by leaps and bounds. Originally known as Klaasenbosch (Claasenbosch), The Cellars-Hohenort was the sprawling estate that belonged to the chief surgeon of the Dutch East India Company, Hendrik ten Damme. 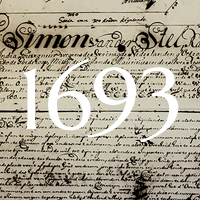 The land was given to him in a full and free title by Simon van der Stel, Governor of the United Dutch Chartered East Indian Company. We Simon van der Stel, Council Extraordinary of India, Governor of the United Dutch Chartered East Indian Company at the Cape of Good hope and the island of Mauritius and its dependencies and our Council make known that to Hendrik ten Damme in full and free title was granted, as is hereby given to him, certain piece of land known as An Claasenbosch situated on the south-west side of the Wijnberg, bordering on the south-east to east on the uncultivated land to the bridge over the Diepe River, north-west to west on the upper road to Hout Bay and the Table Mountain, north-east to north on the on the Wijnberg, south-west to south on the veld to Cape False, being the line AB 100 roods long, BC 100, CD 120, DE 420, EF 318, FA150 roods together covering an area of 65 morgen and 206 square roods Rhinelands measurement as is shown by the above diagram ABCDEFA drawn by the surveyor, with full right and authority henceforth to cultivate, graze, build upon and heritable own the aforesaid land, as well as henceforth to sell, let or otherwise alienate it, subject to the approval of authorities, being under the obligation to allow a common wagon road beside his wheat field for the benefit of himself and other inhabitants, as well as a ford 3 roods wide: furthermore he may not chop wood except on his own land and is obliged to replace all chopped down trees with young oak and other trees, furthermore he will bound to pay one-tenth of his crop to the Honourable Company, on condition that the land will forfeited if it should be found that he acted contrary to this stipulation, or if he does not cultivate the land in conformity with the ordinances, in which case the authorities will have the power to confiscate the land and grand it to someone else; the above-mentioned land remains subject to such impositions and taxes and all such public road shall be permitted as the Government prescribed or shall prescribe in future in the interest of the Honourable Company and the common good. 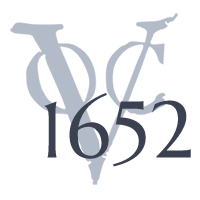 Established as a refreshment point for ships traversing the oceans to gather spice imports from Asia, Cape Town started its development as a small community that provided fresh water, vegetables and meat to sailors who worked for the Dutch East India Company.